About using non invasive treatment to reduce melasma/hormonal pigmentation, freckles, sunspots and age spots. Treatment options for: melasma, chloasma, dark spots on skin, freckles, age spots & hormonal pigmentation. An alternative to “Fraxel Clear + Brilliant” laser treatments, chemical peels and IPL for pigmentation. 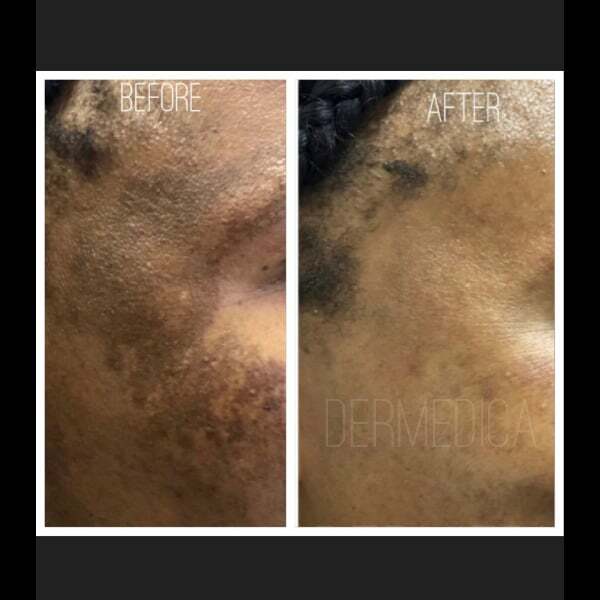 Results of pigmentation treatment: Depending on the type of pigmentation some results will be permanent while others may need some maintenance. This 50 year old lady have tried many skin care products and treatments for many years without success. She approached Dr Teh for help. 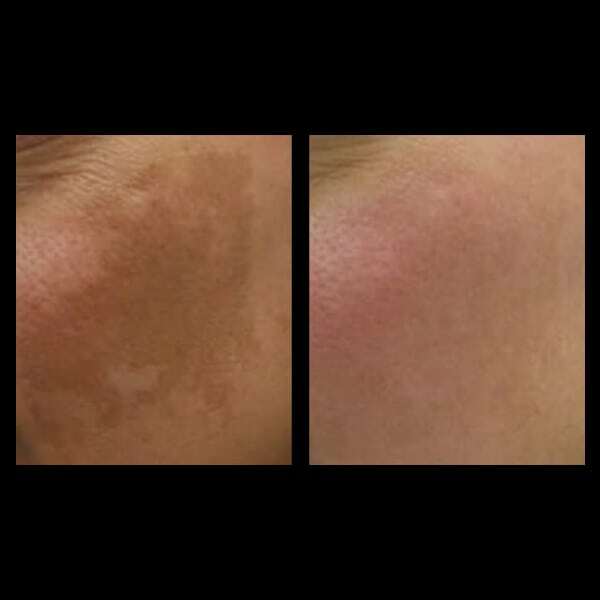 *After 2 pigmentation peels, this client noticed a significant fading of her melasma. This lady has a long history of stubborn melasma. Dr Teh used a specially formulated peel to reduce the pigmentation. After 2 treatments Dr Teh was able to reduce her melasma. She had minimal flaking for a few days. The end results is a clearer and smoother looking skin. Not everyone is suitable for this treatment. It is important to consult with an experienced doctor with an interest in melasma. Some treatments like IPL and laser treatment may make your melasma worse. Who can benefit from this pigmentation treatment? What result can I expect from this pigmentation peel? What other treatments are available to treatment pigmentation and melasma? What are the benefits of pigmentation peel? Pigmentation is caused by skin ageing, hormones, medication, acne and trauma. All these are further exacerbated by long-term sun exposure. Melasma is a medical condition due to hormonal cause. Most common in female. It is now possible to reduce these types of pigmentation and achieve an even skin tone, bringing back its luminosity. 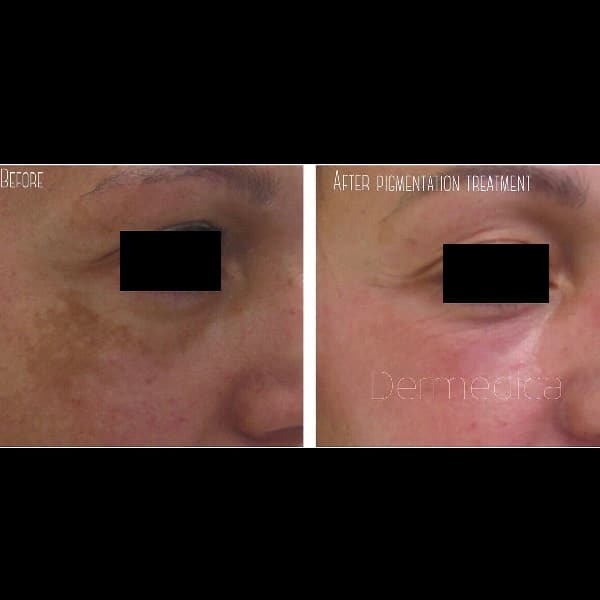 Here at Dermedica, we have one of the best treatment for melasma and pigmentation. 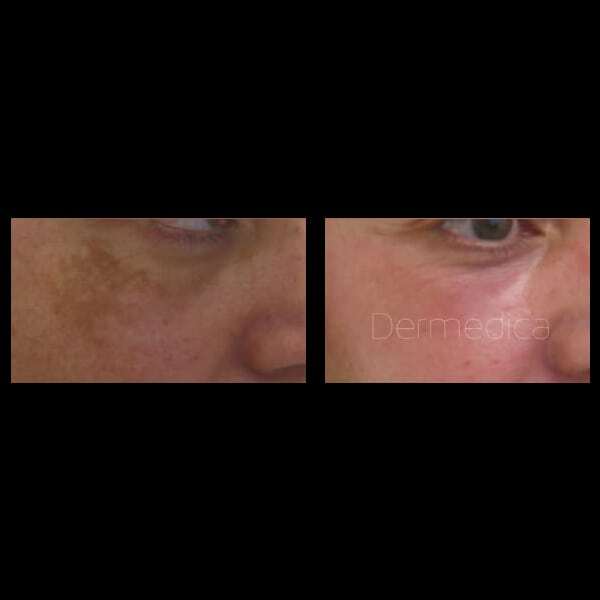 The pigmentation peel Dermedica is a very versatile, dynamic process easily adapted to the needs of each individual patient. It works by inhibiting the melanin formation, making it a simple and pain-free treatment. The pigmentation treatment mechanism of action is based on inhibiting melanin formation. 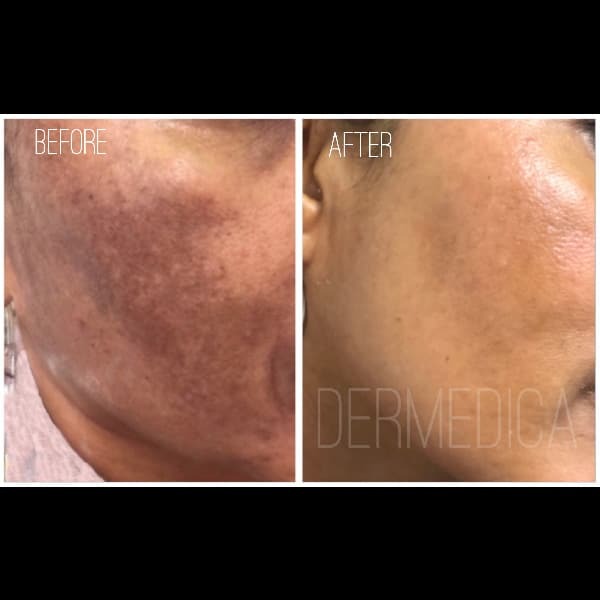 If you have tried Fraxel, IPL, glycolic peels or other peels and have found that your pigmentation have recurred or the treatment was not successful, talk to us at Dermedica Perth about this new solution that may work on pigmentation where those treatments have failed. This treatment is not painful at all. Contact Dr Teh on [email protected] or 92051995 to find out more information about this peel. You may feel a slight tingling sensation, some redness and mild exfoliation for a few days. As with all medical procedures, individual experience will differ. depending on skin sensitivity. 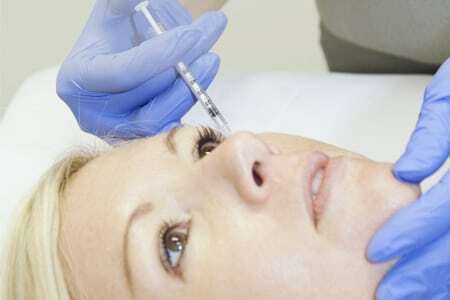 It is important to have a thorough discussion with an experienced cosmetic doctor to assess the risks and side effects. Contact Dr Teh in [email protected] or 92051995 for more information. It is safe to use on the face and neck. Pigmentation can be treated with bleaching creams, peels and IPL. To determine which treatment modalities is best for your skin, it is important to book an assessment with Dr Teh. During the consultation, she will examine your skin, give you an accurate quote and have an honest discussion the optimal treatment options to get rid of your pigmentation. As with all medical procedures, individual experiences will differ. It is important to have a thorough discussion with an experienced cosmetic doctor to assess your suitability. For more information please call us on 08 9205 1995 or [email protected] .